Trailer for Upcoming Japanese Film "My Little Monster"
Japanese director Sho Tsukikawa (“Let Me Eat Your Pancreas” “Kimi to 100-Kaime No Koi”) is set to release his adaptation of the Manga “Tonari no Kaibutsu-Kun” (The Monster Beside Me) This will be the second time the series from Mangaka “Robico” is to be adapted, with a 13 episode anime being previously released. The film stars Masaki Suda (“Gintama” “Destruction babies“) as Haru and Sho Tsukikawa (“Orange” “Mare”) as Shizuki. 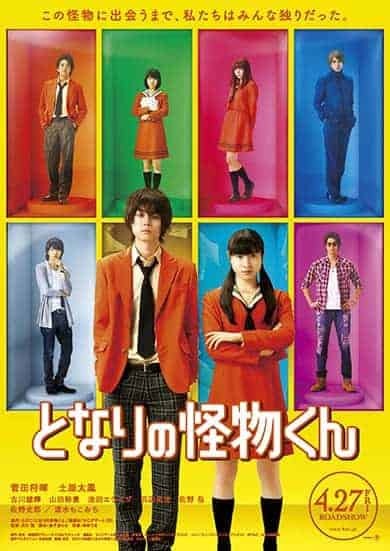 A trailer for “My Little Monster” has been released.